Has reality TV exceeded its shelf-life? Remember the formation of Hear’Say, Darius’ incarnation of Baby One More time, the launch of Pure and Simple as it catapulted its way to the top of the charts? Popstars felt like revolutionary, ground breaking TV! 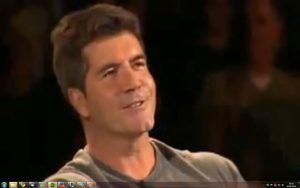 And when Simon Cowell took control of the reality TV reins, he upped the ante considerably – the formula was taken up a gear, the chemistry of the judging panel was thought about more, the hapless, whimsical, downright toe-curling auditions took centre stage, the reality TV landscape was evolving internationally (Big Brother, The Real World, Making The Band) and as a result, The X Factor, at its peak, was enticing 20 million viewers. But this month it was nationally reported that The X Factor’s viewing figures had plummeted to record-low depths with a meagre 8 million viewers. Moreover, the Daily Mail made a point this week of commenting on the return of recently evicted contestant Nicholas McDonald to Glasgow Airport – notably highlighting the fact that there were no fans present to greet him. So, the golden question: has reality TV, now a patch on its glory years, lost its mojo? The amount of viewers tuning in may suggest so. Can ITV still legitimately justify commanding astonishingly high prices for TV ad spots during this show when viewing stats aren’t too far removed from certain soaps and cookery shows? A show of this stature is expensive to make – fancy lighting, marketing overkill, celebrity salaries, telephone voting…it’s not a cheap operation and a show so heavily invested in has to justify its worth. With TV pundits speculating that it may get the heave-ho, and with its sister show in America not performing as well in the ratings as originally hoped for when it was first commissioned, I’m not sure what the future holds if the format doesn’t evolve along with its audience, with contemporary culture, current trends and public viewing preferences. I think the key lies largely with the judging panel. Does somebody who has no experience whatsoever when it comes to performing, to being a recording artist, have any right to make or break aspiring musical talent? The producers need to keep the show fresh by reinventing the judging panel to reflect current tastes and trends. Sure, chemistry is hugely important but so is license to comment and to judge. Peoples’ dreams are at stake here…surely constructive criticism can only truly be levied by someone who has the experience – the chart success and performance history – to impart it? What I want to see from the show is longevity. Not a rush-released ‘debut album’ from the winner that’s full of cover versions. Not a vocal-gymnast winner whose only merit is shattering glass with a 7 octave voice. There’s nothing wrong with exploiting such a massive platform to get your foot in the door, but I want to see a winner with conviction about the artist they want to be, the music they want to make, passionate about the producers they want to collaborate with. A composer. A song-writer. An artist, not a puppet, who has a career spanning many albums. Someone who wants to be creatively involved in the direction of their own career. This could inject any music reality show with a much needed credibility that reinvigorates viewing figures. I’m not a hardened cynic and when these shows have a ‘good year’ with a stronger-than-average contestant pool, things can be great! Carrie Underwood – irrespective of my questionable proclivity for country music – has commendably established herself as an artist separate from any kind of TV launchpad. Kelly Clarkson is drowning in richly deserved awards and she has never been afraid to experiment with her sound and diversify. And Little Mix’s newly released sophomore album Salute is awesome stuff, a proper, incredibly executed R&B record with tight harmonies and plenty of sass. I’m sure many people may disagree with my views but the spiralling ratings prove that love and appetite are dwindling for these shows. Don’t even get me started on Big Brother…once Channel 4’s flagship show, ratings ebbed to such a low that it got the chop and moved to a much smaller network…What do you think that reality TV needs to work on in order to stay fresh, relevant and commercially lucrative?